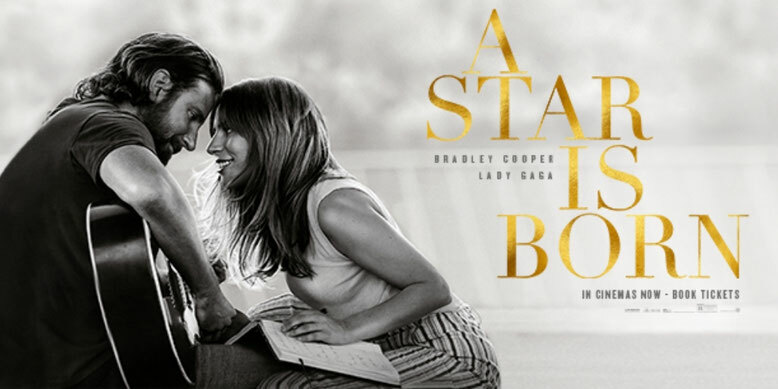 When seasoned musician, Jackson Maine (Bradley Cooper), discovers struggling artist Ally (Lady Gaga), he immediately sees her natural talent and potential. While she has given up on her dream to become a successful singer, he encourages her to reach for her dreams. As the pair fall in love, Jack and Ally embark upon a complex and emotional journey through the beauty and the heartbreak of a relationship struggling to survive. Much of the buzz surrounding A Star Is Born has focused on Lady Gaga. Rightly so - she is phenomenal as rising star Ally. Her performance is utterly charmingly, vulnerable and also goosebump-raisingly powerful. However, it is Bradley Cooper’s heartbreaking portrayal of jaded singer, Jackson Maine, that has stayed with me since watching A Star Is Born. The pressure of directing his first film certainly didn’t prevent him from knocking this complex role out of the park. Together, Lady Gaga and Cooper are able to convey the beautiful and troubled relationship between Ally and Jack. The pair have wonderful on screen chemistry - they are completely convincing as a couple. Indeed, the first half of A Star Is Born is pretty much perfect. From the film’s very first scenes it is clear that authenticity is vitally important in Cooper’s vision for A Star Is Born. We are plunged into Jack’s touring life and in those opening moments we join him on stage. The lights are dazzling, the camera movement thrilling. Meanwhile, the film’s soundscape is thumpingly incredible as we realise (with relief) that Cooper is able to sing live without the distancing issues of overproduced vocals. The music in A Star Is Born is original and all vocals for the movie were recorded live during filming. We already know, of course, that (for all her eccentric shenanigans), Lady Gaga is the real deal. Cooper is a revelation. The tone of his singing (and his speaking) voice is central to Jack’s story - revealing the impact of the drugs and drink and the seeming relentlessness of his life. Jaded as Jack is, Ally is an emotional surprise. He is overwhelmed by her - both on and off stage - and sees the potential in her vocal and songwriting abilities. Ally sees that Jack needs someone to call home. Someone to share his life with and, as his career inevitably fades, give him hope for the future. It is a joy to see them together. Powerful and convincing romances are rare in cinema (not for the want of trying). However, even as you watch A Star Is Born for the first time, Ally and Jack’s relationship feels like an epic, classic love story - one for the ages. Of course, this tale is far from new - three films precede this version (the most recent starring Barbra Streisand and Kris Kristofferson). However, there is something fresh and undeniably soulful about Cooper’s film. Each performance in A Star Is Born is full of heart. While our attention is on Ally and Jack, supporting characters such as Jack’s brother, Bobby (a truly powerful performance from Sam Elliott), his friend Noodles (a warm portrayal by Dave Chappelle) and Ally’s father, Lorenzo (played brilliantly by Andrew Dice Clay) add so much to the emotional weight of the story. With this support, Lady Gaga is able to give a vulnerable performance full of raw emotion. Meanwhile, Cooper is equally unafraid to show us the devastating tragedy of addiction. While the second half of A Star Is Born feels (marginally) less impressive than the first, his portrayal of a man overcome by drink and drugs is breathtaking and absolutely devastating. The buzz may surround Gaga, but - in front and behind the camera - Cooper is the star. I need the A Star Is Born soundtrack… stat. Bradley Cooper spent months working with a vocal coach to lower his voice to play Jackson Maine. Jackson Maine’s guitar playing style was heavily inspired by Neil Young. Cooper then asked Promise Of The Real, a band that had toured with Young, to be Jack’s band in the film. In addition to playing Ally, Lady Gaga - who received an Oscar nomination for the song “Til It Happens to You” from the film The Hunting Ground - performed original songs in A Star Is Born with Cooper. They wrote with artists including Lukas Nelson, Jason Isbell and Mark Ronson. Cooper certainly surrounded himself with talent while making A Star Is Born. He co-wrote the film’s script with Oscar winning writer Eric Roth and Will Fetters. In addition, he worked with Oscar-nominated director of photography, Matthew Libatique, (the film looks gorgeous) and three-time Oscar-nominated editor Jay Cassidy. Have you seen A Star Is Born? If you have, what did you think of this film? Let me know in the comments section below. Alternatively let’s chat over on Twitter. You can find me @500DaysOfFilm.